(June 13, 2018) – Can a person’s religious practices impact their sleep quality? That’s the focus of a new study by Christopher Ellison in the UTSA Department of Sociology and his collaborators. 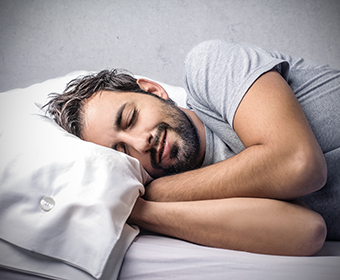 Ellison worked with Terrence D. Hill, associate professor of sociology at the University of Arizona, and Reed T. Deangelis ’15, ’17, a UTSA alumnus and a doctoral student at the University of North Carolina at Chapel Hill, on a paper published in Sleep Health: Journal of the National Sleep Foundation. Ellison and his collaborators plan to present new research findings on this topic at the Association for the Sociology of Religion (ASR) meetings in Philadelphia in August. The College of Liberal and Fine Arts (COLFA) is one of UTSA’s most academically diverse colleges made up of renowned faculty drawn from prestigious institutions around the world who are conducting high quality social science research and presenting their findings nationally and internationally. UTSA is a multicultural discovery enterprise institution and model urban serving university. It specializes in health, energy, security, sustainability and human and social development. The university is ranked among the nation’s top five young universities, according to Times Higher Education. Learn more about Christopher Ellison. Learn more about UTSA Department of Sociology.